Dash (DASH) is a privacy-centric digital currency based on the Bitcoin software. It allows you to remain anonymous while you make transactions, similar to cash. With Bitcoin, transactions are published to the blockchain and you can prove who made them or to whom, but with Dash the anonymization technology makes it impossible to trace them. This is important because the blockchain is accessible to anyone with an internet connection. In addition to traditional Proof of Work (PoW) rewards for mining Dash, users are also rewarded for running and maintaining special servers called “Masternodes” and that scheme called Proof of Service. Shake provides support for Dash, Gatecoin draws “first blood,” and ShapeShift will bring altcoins to debit cards. Want to catch up on your latest altcoin news? Read the stories below. Bitcoin debit card provider Shake is adding Dash support to its platform, allowing customers to use Dash to purchase goods and services. Dash is labelled as the world’s seventh strongest digital currency. Hong Kong-based cryptocurrency platform Gatecoin has launched the trading of FirstBlood, an Ethereum-based eSports token. It is the official currency of a trading platform of the same name and will be only the second Ethereum-based currency to be featured at the Gatecoin table. 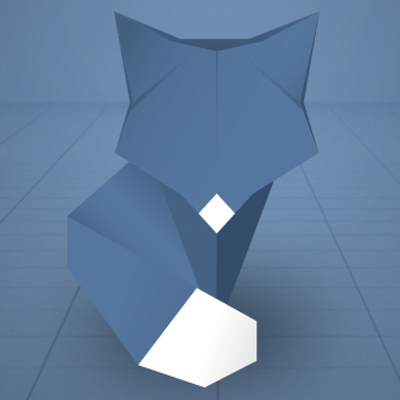 Bitcoin debit card company Wirex is integrating ShapeShift to bring dozens of new altcoins to its users. It is my pleasure to give you a status report of the Dash Core Team activities. Below, you will find our report covering activities performed through the end of October, grouped by the four strategic areas of focus for 2016. Testnet of 0.12.1 in progress. Update to add support for scanning QR codes that request InstantSend (is=1) which will by default check the “InstantSend” box on Send Coins. This needs to be added to the Request Coins screen of the app. Published a TestNet version (that quickly became obsolete due to an increase in the protocol version). Documentation and improved code handed-over to the Proton Team. Hi, I’m Amanda B. Johnson. And you are watching DASH: Detailed. which will enable the average person to use Dash without needing to know what cryptocurrency is. With its alpha delivery slated for late 2017, I thought you might enjoy seeing these screenshots of pre- pre-Evolution in action. This slide shows a new user landing on an Evolution webpage. And remember that anybody could host an Evolution web or mobile application using Dash’s forthcoming Decentralized API, or DAPI for short. Users have the option to create a wallet or to start selling as a merchant. The user creates a password and then is shown their recovery seed as no Evolution provider will be storing any users’ private keys. Our Dashboard shows us the three primary sections of our Evolution wallet — namely our Funds, our Apps, and our Friends. Looking at our Funds first, you’ll see that we can have various types of accounts. Such as a cash account, a joint account, and a savings account. Here we see the creation of a new account type — we’ll call it Spending. And fast-forward a bit with our Spending account, we can view its History. Notice in the History that we’ve been making subscription payments to a few merchants. That’s because Evolution enables auto-pay, which will be a protocol-level first for the entire cryptocurrency industry. Next we’ll move from Funds to the Apps section. Here we see various merchant Apps listed. Let’s click on one here and see that we can view its ratings, its download numbers and a link to its homepage, all to help us determine whether or not this is someone we’d like to do business with. We can go ahead and choose to purchase this merchants product with one click here, which will show us the invoice and now we pay. As another first for the cryptocurrency industry, Dash Evolution will offer protocol-level moderation in case of payment disputes between merchants and customers. Both sides of the trade get to make claims about the dispute and a moderator can then choose whether to issue a refund in any amount to either party. Merchants can create these apps by undergoing this process, where Evan has created Evan’s Socks Store. Moving from the Apps section to the Friends section, we see that we can view the history of all transactions we’ve had with people in our Friends list. Our Friends list itself allows us to label both a name and a description for our contacts within Dash Evolution. And finally, we can even send a private message to those in our Friends list. Not to be restricted to the web, here’s an idea of what Evolution will look like on mobile. I hope you’ve enjoyed this little preview of forthcoming Evolution software. And if you did, you will enjoy at least as much, my chat with Evan Duffield next week as he goes deeper into Evolution specifications — namely, Decentralized Masternode Shares, the DAPI and the merchant app store. So be sure to come back next Wednesday for that. 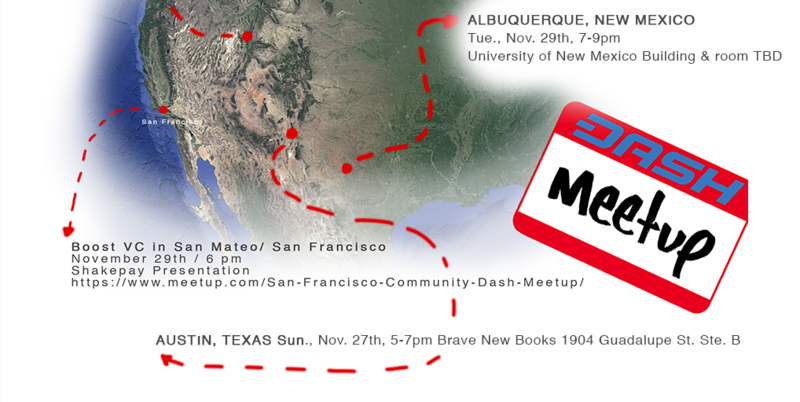 And remember if you live anywhere near Austin come meet us this Sunday, and anywhere near Albuquerque, come out and meet us the following Tuesday. Starting today, Ledger Nano S and Ledger Blue officially support DASH! Starting today, Ledger Nano S and Ledger Blue (available as a pre-order) officially support DASH! to funds required for December. described in detail in September's infrastructure funding request. 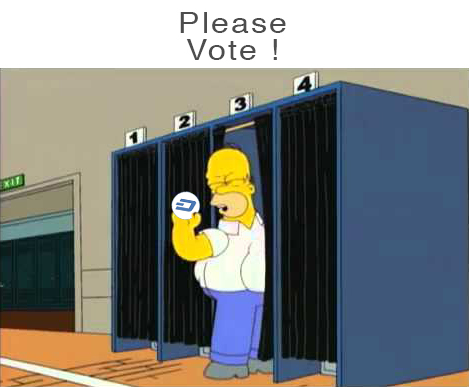 Dash: The Cash Alternative" campaign! I've been giving this a lot of thought for a long time, and I feel that the time has come to move on from the Dash Dalmatian style of Dash promoting. Loving the dog, he served me well as my Twitter was growing, and he will always be used as my personal Dash persona. However, I feel that the time has come to shift the focus of my grassroots promotional efforts a little bit. 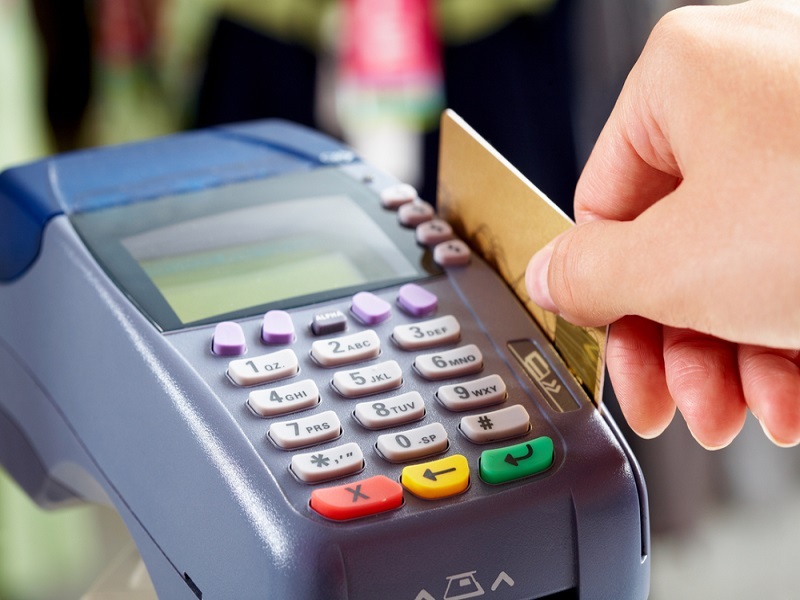 Over the past year, I have noticed more and more news articles relating to the war on cash. Just this past week in India with the events there, I feel that it is picking up momentum, and this is the direction that world governments will be going in. I feel that this is a potential gold mine online, and decided to switch gears. We always say that Dash is Digital Cash, there is no digital currency out there that is doing as good of a job developing into potentially the world's alternative to cash, saving wealth and financial freedom. The other day on Dash Nation Slack, user @mike-e was encouraging us to think more about adoption, and what the average person would find beneficial about Dash. I thought about it, and what would the average person relate more to when viewing my tweets or websites? A dog, or an alternative to rapidly shrinking cash options? The answer to me was obvious. This was not an easy decision for me to make, as I have been using my own persona for years. However, I feel that now is the right time to make the switch. So my Twitter @TaoOfSatoshi is now @CashAlternative (http://twitter.com/cashalternative). To any Twitts, the new hashtag is #CashAlternative. Let's take over this hashtag, it will be very important later. I purchased http://cashalternative.co. I feel that this would be a domain that would resonate more with the average individual. Why is Dash a cash alternative? Why should I care? If you have any graphic design or website building skills, I feel that this is a worthy project to work on. We can explain why the average person needs Dash, what are the benefits, and through a Dash Nation page, we can link to the Dash Nation website where the community building efforts continue. Please, if you have skills, donate some to the cause, and I may even be putting in a proposal at some point. The "Dash: The Cash Alternative" campaign. It's time for a change! Join Dash Nation Slack at http://dash-nation-invite.herokuapp.com, and look for the #cash_alternative channel to contribute. Budgets likely pay around midnight Sunday night UTC and budgets will finalise about 24-48 hours prior to that. Get started with this tutorial, in case you need further information! How will interest-bearing savings accounts (or masternode shares), the merchant/app/marketplace, and the world’s first decentralized API work, precisely? Join Amanda as she chats with Evan Duffield — he even gives bonus personal stories and economic predictions at the end. Hello I’m Amanda B. Johnson and you’re watching DASH: Detailed. As was promised in last week’s Evolution preview video, today I’m sitting down with Dash developer Evan Duffield to talk Evolution details and what’s more, get an update on the status of Dash’s next software version 12.1. Sit back and relax here he is. AMANDA B. JOHNSON: Evan how are you today? EVAN DUFFIELD: I’m doing wonderful, thank you. AMANDA B. JOHNSON: Good. Well thanks for joining me. And I have to say this is the first kind of interview for me in that I did not have some questions in mind and seek you out and say, Evan will you please come and answer these questions in an interview? But rather you told me you have some things in mind and that you have some information you would care to share. And so with that sort of reversal going on I’m just gonna leave it to you to guide us through. EVAN DUFFIELD: Okay perfect. Yes so I’m… this time was a little bit different. When I was in Argentina talking to random people I started finding myself being able to describe Evolution a lot better. And just from the the conversations I was having I figured out that these people were really excited about what we were doing in a way that I hadn’t really thought of. And so I wanted to, I guess, give the same pitch to the community of what we’re building and of what I kind of discovered it means to me. And so the slides that you had, had shown – I was just going to go through those and kind of talk about what product were building and why we’re building it and the way we’re building it. And so the first thing is this, be your own online bank. We can’t use that slogan but it’s going to be something like that. So what we’re aiming to do is to be the Wells Fargo of decentralized systems. We want to create something that you know, people are used to using. That anyone that has any experience with you know, the legacy banking institutions and how those work — they could just move on over and they would look just like that to them. AMANDA B. JOHNSON: And I’ll quickly just insert there Evan — just for anybody who may not know — a GUI is short for a GUI which is a Graphical User Interface. So basically the stuff on the screen that the end user sees and is like clicking around in, okay. And then of course the decentralized API as Evan also mentioned is — I don’t know how many lines of code – but it’s basically a piece of code that anybody will be able to use to launch either an Evolution while on the web or an Evolution wallet on mobile without needing to run the entire Dash blockchain and do all of those things. EVAN DUFFIELD: Yeah exactly. So on the DAPI – I guess it’s two different parts. There’s the the front-facing SDK part. And if you’re familiar with something like Stripe — they have an excellent API. And its object oriented. So when when you use Stripe and you set up a new client you actually set up a customer and then you set up a subscription for them. And then with these API’s you set up the the schema, or the database entries and everything on the Stripe side, right? And so what we’re doing is creating something like really similar to that except instead of having like the centralized repository of client information we figured out a way to make these generic storage objects that then we store on this relational database that’s built on Dash Drive. AMANDA B. JOHNSON: So is it pretty easy for somebody to start up like a Stripe account or whatever? Basically is that what you’re saying? And Stripe is like a credit card processor, right? EVAN DUFFIELD: So Stripe is like — it’s like PayPal. You you can sign up as a business and then you can provide services on the Internet. And when when you go to build the client you use one of these services. So in this case it’s Stripe. And they have this just excellent API where you can hook into it and you just drop these like little snippets of code into your web app and that’s all that it takes for like a screen to pop-up and ask you for your credit card information or ask you for your name and address and that type of information. And so when I say like, we’re building like the simplicity into it, I mean we’re building something like you would build in the legacy world except were decoupling all of the complexity of building and maintaining a system like this from using it. EVAN DUFFIELD: So I guess I can move on to the next screen which was the login screen. AMANDA B. JOHNSON: Yeah. EVAN DUFFIELD: The idea here is that when you when you login you can login to your mobile device or you can log in on the Internet. And in either case you’re just using your username and password. And then you see all of the same information. So as you get in, you would see the My Account screen and that’s where you is your public account, your savings account, and private. So you can also have you know, completely anonymous funds. You can use it and it would work exactly like Bitcoin if you wanted to. Completely transparent on the ledger side. Or you could move money into the savings account just like you were doing in a bank, and it would allocate it into masternode shares. And that’s where that whole part comes in. AMANDA B. JOHNSON: So before we get into the very exciting aspect of how… more about how masternode shares will work the savings accounts, I wanted to know personally, so if private coins live in the private account — so does that mean to PrivateSent but rather all payments going to and coming from just the private account will automatically be PrivateSent? Is that right? EVAN DUFFIELD: Yeah pretty much. So like, let’s say you have a private account and I have a public account and you give me an address in your private account and I’ve been buying like socks online and stuff, so like everything that I did from that private, that public account, you can completely see what happened you know. And then I send you my sock money. And then you get into your private account. The first thing that happens is it mixes. So all of my sock history over here is gone. And then I have brand new coins that were just given to you and then anything you do is completely separate from that. AMANDA B. JOHNSON: And now with regard to usernames, would I give you like a different username if I wanted you to pay my public account vs my private account? EVAN DUFFIELD: I was thinking of just using something like a period. So it would be like Amanda.private or Amanda.public. AMANDA B. JOHNSON: Got it. Okay. EVAN DUFFIELD: Or like, so you you can name the accounts essentially and pay to like a sub- account. EVAN DUFFIELD: And so that would make it really easy for me to send money to.. or maybe like there’s Amanda.default and you pick whether that’s your private or public and it would go into that. I don’t know. We’re just kind of exploring ideas but that’s the general gist that I think I’m going for. AMANDA B. JOHNSON: Ok. Alright. Please continue. You were just getting into the savings account being the gateway into one’s saved funds being put into masternode shares. EVAN DUFFIELD: So with the the masternode share program – right now the masternodes make about eight percent a year. And you know, that’s pretty good for an investment. And then over time what we want to do is to also like remove the the absolute requirement to run one of these servers from the collateralization of this cryptographic bond instrument, which is essentially what the masternode is, right? You have a cryptographic bond and then you have a server that’s associated with it. And those two have to be both active on the network unspent and pingable you know, a real server. AMANDA B. JOHNSON: And you’re not too much saying that you want to remove the collateral from the masternode, but rather you want to make it possible for someone who doesn’t have a thousand to participate. EVAN DUFFIELD: Yeah exactly. And to do that you have to decouple the requirement for 1000 Dash to belong exactly to one server. And so the the concept that is the the one that we’re thinking about implementing for this is where you have a pool of money — and so like let’s say you have a thousand dollars in your savings account — so that can get you one ninth of a masternode essentially, because they cost nine thousand dollars right now. And what it would do is you would get something like 80 masternode shares. And then you know, so it’s 80 of them and that that would get you one ninth of a full masternode. And then you have these other people over here, and they run the hardware. AMANDA B. JOHNSON: That’s okay, go ahead. go ahead. EVAN DUFFIELD: I was just going to say, that that’s essentially how it scales up. We get two giant pools. One of all of the servers — the virtually being ran for all of this collateral sitting in Pool A, from you know, it could be a 10,000, 100,000 investors even. AMANDA B. JOHNSON: I had a question from an audience member at my Minneapolis presentation recently and I told him that I was going to be talking to you soon and that I would ask you, and this is the perfect time for me to ask you. But he basically wondered, would the collateral, would the shares need to be like, agreed to be locked for a certain amount of time to prevent like, like if someone takes those funds out of their savings account and that masternode is now like, is it now missing some of its collateral and so it goes offline? Or is it immediately made whole again with with shares from elsewhere? Or how can that work? EVAN DUFFIELD: Yes I thinking like a combination of both of those, since masternodes would belong to many different investors of different sizes — allocations of shares – you could have like 50,000 shares go offline, right? And now you’re uncollateralized like five percent of the node. And I don’t think that that’s an issue like enough to jeopardize the masternode in general. But then we could have thresholds. So like let’s say it required seventy percent of the shares to be online at any given point for the masternode to be active. And so you could have turnover — investors coming and going all of the time – and the system would then try to replace that as soon as possible. And it could prioritize like which ones it was going after to replace based off of how long the shares were missing or things like that. So it could be a pretty intelligent system. AMANDA B. JOHNSON: And so then if some — if a masternode were say like, seventy percent collateralized, like it were in flux, would it then receive like seventy percent of its normal payout? Or would it receive like all of its normal payout? And the people left in the less-than-fully-collateralized node would be like getting paid more than usual? I’m just wondering about like the incentives that could create? EVAN DUFFIELD: Yeah there’s some crazy incentives in there. If you set it up the way that you’re describing you could actually try to take offline other people’s money so that you get paid more. But like… Or just some of your own shares. Yeah I would say like it would probably be proportionate to how many shares were active. So one share would make you know, one shares worth no matter how much of the masternode it was responsible for at that time. Otherwise yeah there’s weird stuff that could start happening. Ok so I guess I’ll get back into what I was talking about before. AMANDA B. JOHNSON: Please, yeah. EVAN DUFFIELD: That pretty much covers the account part of it. I think that’s a pretty simple way of showing it to users. Everyone can understand that and it covers anonymity, the need for a public ledger as well, which is important — we could talk about that as well if you like. EVAN DUFFIELD: Because a lot of times when when you’re doing business online like it needs to be public. Especially when it’s like two businesses and they’re just interchanging money. They don’t want any privacy in that probably. AMANDA B. JOHNSON: And would you mind giving me like an example? EVAN DUFFIELD: Like let’s say it’s somebody in your supply line and you manufacture shirts or something, and so you’re buying the cotton from these guys over here and you send them money but like in that case, you want this transparent history between the two of you in a way that isn’t obscured by things like mixing. AMANDA B. JOHNSON: Okay. Then does that mean if I were to receive a payment from somebody’s private account that I – my wallet would not show me that it came from like Evan.private? I just would not know who it came from? Is that what I’m hearing then? EVAN DUFFIELD: No, no. So if you receive money even from somebody privately you also receive direct communication from them saying that, hey this money was for this and here’s like the memo associated with it. And then that’s how your wallet knows like which merchant it was, and like what part, like what moderation queue it’s in, and all of the processes on the network they all go through that communication system. And so you definitely know who’s sending you money and whatnot. But then there’s the public side of the ledger where it’s recorded in the blockchain and that’s more of what I’m referring to. If you don’t have all of this private information that the client will share you could still associate those two people in, who know that, I was getting my cotton from this specific provider and I would get it on these specific days and it was for these specific amounts and you could track my business and figure out how was growing or you know how, much I was paying for things. Things like that. AMANDA B. JOHNSON: Got it. So like if I wanted to be able to prove to somebody that Evan sent me money — if you send it to me privately I would only be able to prove it to like really myself because just like my client would show me that yes the payment came from you. But if I wanted to be able to prove it to anybody and everybody that you sent me money then I would want to have it done publicly so that I could just like send the link on like a block explorer, for example, to anybody? EVAN DUFFIELD: Yeah, exactly. You know another example would be like if we had a Coinbase type competitor in our space and they want probably to have some relationships with some other businesses where also the clients are known, because you know, this is a AML compliant company, right? And so there’s regulation — everything internally then, according to the the regulations just has to be completely transparent. They can’t have you know, mixers you know, obscuring the blockchain and everything. Because then if the regulator’s come in and ask for information they can’t get like cut off there. And so you know, the system would allow people to operate like that in our ecosystem, which I think is important just because it’s out of necessity sometimes. AMANDA B. JOHNSON: Wait, is it being called the marketplace? Is it… I’ve seen some comments about this online. I mean, so should be called the marketplace? An app store? A merchant app store? Can only merchants live there I’m sure you’ll tell me. EVAN DUFFIELD: You know we – I think we’ve thrown around three or four names for it so far and it’s because like the concept has been growing. We started out with it as like this like little type of like programmatic appstore thing and I think it’s turned into something bigger than that. Like we want everyone that’s in our ecosystem to be accessible through this one platform and for you to be able to like search through it and like search by ratings or search by the things they provide and things they offer. 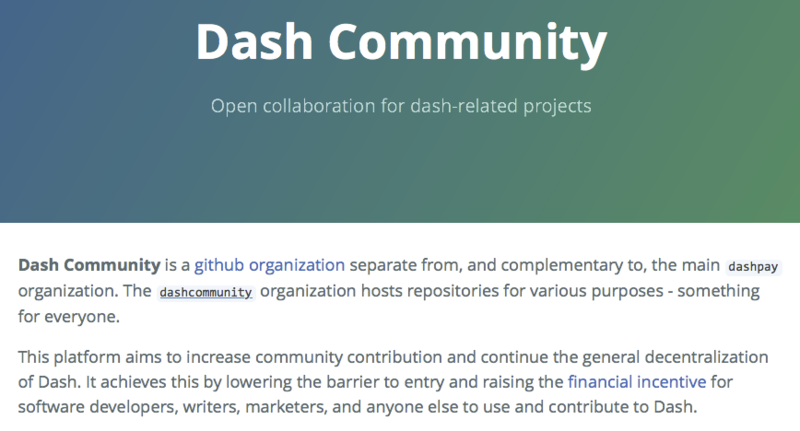 And like, have some repository of information about what’s available in the Dash ecosystem in a place that’s available to everyone. So we can kind of all figure out like what we want to live there and what we don’t want to live there. AMANDA B. JOHNSON: And SDK is something developer kit? What is SDK? EVAN DUFFIELD: Software Development Kit. AMANDA B. JOHNSON: Software Development Kit. And so is that, I mean in layman’s terms, is that just saying like, hey store here’s the code, here’s the simple code that you would need to run in order to find yourself appearing in our marketplace? EVAN DUFFIELD: Yeah. And it can actually do anything. So it would be the full API into our platform, right? So if you were — like if you’re a merchant and we want to integrate with you and right now you take credit cards, PayPal and you could add you know, Dash just as easily as you added the other two. And I guess that’s kind of the idea. We’re going to go out and try to get all of the people that went for PayPal and make some kind of like integration process that they’re already familiar with and just get them onboard and get them into the marketplace so that people can find them. And then that should create that snowball effect where start onboarding lots of people because I’m as a business platform it should actually work. It should facilitate direct business between these vendors and people without third-party in the middle. So it – I think it should be like pretty interesting to start seeing it actually, see the gears turning I guess. AMANDA B. JOHNSON: And now would that be just as easy for them to plug into like they’re in- person point-of-sale as it would be like their web presence? So with in-person point-of-sale like that that’s a completely different concept of how we’re going to deal with it. We want to make like physical hardware for like merchant’s to integrate with us. AMANDA B. JOHNSON: Oh! What like a little tablet or something? EVAN DUFFIELD: Yeah something like that. I looked at like a few of the different platforms that are out there and some of them run on iPad for example, and you just install the software and you’re good to go. And then you get that iPad into like this plastic thing and it can like flip around and then there’s like a pen for signing and whatnot. So, I mean, if we did something I think it would be along those lines. EVAN DUFFIELD: Just getting like the plastic created for the iPad to set-in is really easy. And making iPad software also is probably pretty cheap. So we could probably get into that space as well. AMANDA B. JOHNSON: Would that be contingent on being accepted into the iOS App Store? EVAN DUFFIELD: I’m confidently excited. AMANDA B. JOHNSON: Okay. Wow! Confidently excited. You heard it here on DASH: Detailed everybody. Alright, please continue. EVAN DUFFIELD: Ok. So with with the marketplace it’s this concept of having an inclusive index of all that’s available within Dash. And then hosting that via the the DAPI. And then the SDK is just for accessing all of that information and allowing people like an easy way of getting onboarded. And then I think the the other portion of how we are going to make this work is we use the the funding process from the governance system to then fund an integration team to go out and and start you know, just rolling these people through this process of onboarding and we’ll get that down to a science. And then that’s how we that’s how we grow the whole thing systematically. AMANDA B. JOHNSON: Yeah so I mean like in-person, like on the ground, like integration teams? EVAN DUFFIELD: Yeah. AMANDA B. JOHNSON: That’s interesting. Pete told me that he looked a lot into Uber’s early days. And he told me that it seems like their immense success that they experience was almost directly attributable to like what you’re talking about. Like apparently Uber didn’t launch anywhere unless there was a specific like integration launch team of real people on the ground in that particular city to facilitate the launch. administrative team and they they’ve kind of got it figured out doing I’m it completely with philanthropy. But I think as far as scaling like I don’t see that scaling very well. And so we’re just systematically making our own system for for doing it and funding it from from the blockchain. So you know, it’s kind of exciting. Like we’re finally getting to the the place where I think this is the next phase as the project goes into it’s like, some sort of meaningful maturity it seems like. I’m pretty excited. That’s pretty much all I had though for the the app and the slides. That’s kind of what I was telling people in Argentina about it. AMANDA B. JOHNSON: Ok. I just have one follow-up question, in terms of ok, so like I would have an address that’s like Amanda.public and like Amanda.private and certainly I know what that means because I know how Dash works and so I was just wondering, with Evolution’s focus being a person who knows nothing about cryptocurrency, do you think, I mean, how is the wallet going to communicate to them — if at all — like what it means to have a public address and private address? Like is there gonna be like a little FAQ up in the wallet that’s like, what does it mean if I send a public payment versus private? I mean is it going to be like, dear customer there are these things called blockchains and they record all of your transactions? And like how is that going to be approached for a person to know just what exactly this whole public and private thing means? EVAN DUFFIELD: Ok. So there’s a tipping point when technologies — they creep up really slowly and then there’s this point at which the average person eventually gets on-boarded and that’s really far into the process of adopting a new technology. Especially something that’s, you know, what five years old? Or no, 2008. So yeah, we’re going on a few years that we’ve been exposed to this new technology. But I still think that as far as reaching that tipping point – that’s the point where everyone probably will be ready enough to really jump onto the the bandwagon – we’re like, really close toward the beginning. And so I would say like, the first step is, we need a scalable technology. The second step is, we need something that looks like the legacy technologies people are used to dealing with. And then the third step is, we need to onboard 1% of the population. They could be the smartest of all of them. Like these are probably the people that got smartphones first, right? Previously. And then you get them onboard and then we go for the next ten percent or the next fifteen percent. And so, like I would see it as creating like a series of wallets. And all of these wallets, they all use the same API, right? Because we decoupled the GUI from the back-end. And so the first one, we could create FAQs and different things to educate the people that are getting onboarded just like what you described, and get them up to speed. The second and third and fourth iteration I think is so far away from that that all of the complexity should just be gone. We should not even be caring about the blockchain anymore because we have, you know, ten percent of the population on it and there’s probably a lot of privacy that’s been built in by that time. And you know, it probably removes a lot of the risk of being — of utilizing this type of technology, right? That’s kind of how I see it going. AMANDA B. JOHNSON: Now I have, I think, one or two questions for you. The first would be, I think I had a little thought like growing in the back of my mind the other day and then Pete surprised me when he articulated it and I wanted to see whether you like agree or disagree with it, and what you think about it basically. But he said something like, you know, I wonder if like when Evolution comes out, like our first users and the majority of our users like basically will not be any of the people who are in the crypto sphere now. Like any of the ninety-nine percent of capital in the crypto sphere now that owns coins other than Dash. And he said like basically, I think it’ll just be people who have not been hanging around the crypto sphere all these years who pick up Evolution but just totally brand-new people who were otherwise uninterested in blockchain magic. And so like what do you think about that? Like because it seems to me — and I might make a video about this in the coming weeks – that Dash is like treated like a redheaded stepchild but it’s really like becoming like the Goliath of the crypto sphere. And it’s very interesting to watch all this play out. And so, do you think it will continue that way even after Evolution? Like are there so many egos on the line? I mean, what do you think? EVAN DUFFIELD: Ok, so I would start by saying the whole ecosystem as a whole is worth 13 billion dollars, right? EVAN DUFFIELD: If you add up every one of these projects. If you take all of the derivatives into account of the world economy and you add it all up and you stack it up, we’re talking a hundred trillion, right? And decentralized technology is better than centralized technology. I mean that is a fact. And so, what will happen eventually is that hundred trillion is going to flow into the decentralized markets. And so we have from 13 trillion to a hundred trillion to go, you know? And so I see it as being that all of that other money that’s out there it’s attached to things that you know, they aren’t providing good return. The banks for example, like what they pay like two percent or 0.2 percent? AMANDA B. JOHNSON: More like the letter. AMANDA B. JOHNSON: Yeah if they pay anything at all. EVAN DUFFIELD: Yeah and so you have that. And stocks haven’t been returning that great of returns over the last while. Bonds are more dangerous than they’ve ever been with the amount of debt countries hold. And so there’s three areas where I see there being possible like huge declines in those economies and that money coming over to us. But first we need like this first series of companies — decentralized companies – to work and to expand the market up into the point where you know, it’s worth a hundred billion dollars or 500 billion dollars. But all of that money comes from new people. It’s the people that were invested in those things I had mentioned that will figure out like slowly and surely and start earning way more than the other people and then bragging about it and then that’s just gonna keep it happening. But you know, like how long does that take? I have no idea, you know? AMANDA B. JOHNSON: Yeah. It causes me to wonder, I mean like some of these folks who claim that they own various cryptos and you know that all the while they’re calling me a “shill” and you a “scammer” — like are they gonna gonna have to like, get drunk to like mask their tears while like they open their first Evolution wallet? Because it would just be crazy not to. It seems like way too beneficial for them not to. Or are they just gonna like never open an Evolution wallet and like become grumpy old men who are like, that shill and that scammer they got unfair advantage or something, and they’ll like be saying that to their grave? It makes me wonder. EVAN DUFFIELD: Yeah the cognitive dissidence that that will cause — you have no idea. AMANDA B. JOHNSON: Yeah. Alright, and final question would be, would you mind sharing, what did you do before you started Dash and like began working full-time for Dash? Like what was your job? Because as I mentioned before to various people, in my estimation the occurrence of programmers who also understand economics or vice versa – someone who understands economics who can also program — like that person is so rare that it’s not even surprising like the economic absurdities we see in so many of these other chains that like can’t figure out, why does our node count keep dropping? Why does our infrastructure keep centralizing? And they just cannot figure it out. So you’re one of those unicorns — you can program and you also understand economic incentives. What did you do before you were doing cryptocurrency? EVAN DUFFIELD: Ok so I started programming when I was 15. And I started with initially, Basic 6, which is actually pretty awesome language to learn on. It’s like really crazy slow and stupid, built by Microsoft, but it’s like the GUI thing where you can design like programs within it. AMANDA B. JOHNSON: Speaking of calls. AMANDA B. JOHNSON: Sorry about that background noise. EVAN DUFFIELD: So I worked for a couple ISPs and that was interesting I then like switched over to working for SEO companies. 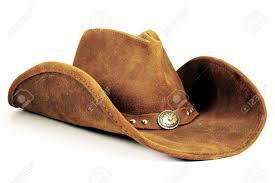 I was a black hat guy for a little while. EVAN DUFFIELD: I was like hacking different things on the Internet — probably illegally. And then I switched to like, white hat SEO. We were modeling the public part of the Internet and trying to figure out how the rankings worked. And so I modeled our algorithm after Google’s and was trying to work out how their’s worked. And so I was using machine learning and stuff for doing a lot of that. Huh. I worked for the government for a while with clearance of hacking again. AMANDA B. JOHNSON: What’s a Series 65? EVAN DUFFIELD: So there’s like a few of these different licenses that are required to get into the financial services industry in the US. The Series 65 allows you to run on investment firms. So I like passed that, which is a really hard test to pass. The book was like that thick and the test was like four hours or something crazy. I studied like non-stop for like three months to do it. And that’s where I like — I studied economics for like five years before that in my spare time just because I was interested in it. And then I did that and I like learned the rest of it and I passed the test. A lot of that was about economics and whatnot. Then I started doing these models for the stock market. I was doing like reading of these different models together and then like, retesting the children. I had like farms of computers running, doing it. It was a lot of fun. I had a few hundred people that were subscribed. And then after that, I saw a Bitcoin and got into that. With all of the economic knowledge and different things that I’d done it was like the perfect fit because I have done a lot of security work, I’ve done a lot of economic work, I’ve done a lot of machine learning work, which I think is going to be really useful for the next part. And and so when I started messing around with the Bitcoin client I was kind of surprised that nobody was interested in tweaking the things I was interested in. And none of them were like thinking about the problems the same way. And so I started asking questions around random people, and everyone was like, yeah those sound like really good ideas you should probably do something. And so then I started like hacking on the client and and that’s where x11 came from. And all of that. And then it kind of just, it like blew up, like a pretty quickly at my job. Like within two weeks of Dash start ing I couldn’t focus on work anymore and then I kind of got fired slash quit. AMANDA B. JOHNSON: I know how that goes. come over, he’s like, what are you doing? So he got like really mad at me. We still talk but uh that kind of, that was the parting of ways there. And then I’ve been full-time since then. Haven’t looked back. AMANDA B. JOHNSON: I see. Well sounds like the groundwork was certainly lain. And it’s just occurred to me now, rather it is not lost on me, that I have referred to Dash as cryptocurrencies redheaded stepchild more than once in the past and you are in fact redheaded and it is all coming together quite nicely I would say. Alright. EVAN DUFFIELD: There’s actually a bunch of redheads – you know Holger’s a redhead, our QA guy. AMANDA B. JOHNSON: That’s right, he is. EVAN DUFFIELD: Probably the more redheads we can get onboard the better I would say. AMANDA B. JOHNSON: Yeah. EVAN DUFFIELD: Ira Miller. AMANDA B. JOHNSON: Yeah. EVAN DUFFIELD: I’m just attracting them from all around the world and trying to get them in one group. Yeah I think I [unintelligable] power somehow. AMANDA B. JOHNSON: Yeah. And I’ve heard that redheads are also like a dying breed or whatever so maybe I don’t know there’s some — special something special in the genetics I would say keep that going. I’m bullish on redheads. EVAN DUFFIELD: We’re going extinct. It is a problem. AMANDA B. JOHNSON: Yeah. Very good. EVAN DUFFIELD: And then the other — one more thing before we go that I want to talk about was 12.1. AMANDA B. JOHNSON: Oh yes, please. EVAN DUFFIELD: Ok so as like, just a really short status update, I redid my development environment. Basically like what what happened, which is kind of interesting is, I decentralize our development team. We got a new guy named Tim. We like recoordinated how we do everything. And then they essentially took over after I wrote all of the prototype code for how 12.1 works with Sentinel and with the governance system and everything. And then, just like a couple weeks ago, it’s looking like it’s pretty stable and so I started up 25 masternodes on a test server. And I’ve been like issuing the commands to create superblocks, which appears to also be working correctly now. The network seems stable. Everything looks like were pretty good to go. There’s two other things that I need to test before we launch. One is pooled mining and there’s a couple security things I need to look into. But I would say definitely by December Fourteenth we will be on 12.1 on main net. NARRATOR VOICE: Shortly after recording, Holger Schinzel, who spearheads quality assurance, automation, and testing for Dash, noted that a release date of January First, 2017 would be realistic. AMANDA B. JOHNSON: Alright well that pretty much does it for us so thanks for your time Evan. EVAN DUFFIELD: Yeah thank you for having me. It was fun. That’s it for this week’s DASH: Detailed. If you want to talk about anything you heard in the show today or anything Dash related at all, I invite you to join us in one of our many social channels. You can find them listed at the link you see in the card on your video screen right now. in addition to that, be sure to follow us on Twitter for oh so important updates and I’ll see you next Wednesday. : As you may or may not know, I am sitting with John Bush of Austin, Texas. current treasury proposal aims to do John? : That’s pretty much it in a nutshell. door? Or like what’s been your strateg y in determining where to g o first? hope to reach the 100.
after the cannabis industry in Colorado. that a g o at our business — what do you do to g et them set up? What is that process? interfaces with Coin Payments. I think it’s CoinPayments.net. speak, which is what I do here at Brave New Books. could select card, PayPal, Bitcoin, which uses Bitpay, it’s integ rated automatically, or they select Dash. twelve dollars worth of Dash within the next 24 hours to complete your purchase. a demand for these plug ins and stuff to come about. which will in turn lead to more development. to where there’s some difficulties, but thankfully the core team has been very helpful. API so someone from the core team is helping them with more of the technical aspects. about cryptocurrency every sing le day? many merchants would you say you’ve like completed of the hundred thus far? closing ratio or one percent closing ratio, I’ll still be able to achieve my g oal. make this happen. So I’m g onna offer one Dash to Dash users that can help recruit businesses. website to track everything — and that means that they are ready and able to accept Dash payment. customers that accept, that are g oing to spend Dash. Obviously the best place to spend Dash is at BraveNewBookStore.com. Haha. have a wide variety of services. all of the benefits are there. : We’re coming for you Bitcoin. more than happy to g ive a free shout-out on DASH: Detailed to any business that starts accepting Dash. email or a Slack messag e letting me know, and I will make sure it g ets on a show. : Thanks for your time John. We encourage everyone to upgrade this latest action-packed release. Transaction handling has been vastly improved AND we squashed bugs AND tossed in new features! In addition this version adds some Dash fixes for individuals using Exodus to store Dash mining rewards. Upgrade to get a new transaction history list, speed improvements, new subtle-depth scrollbars, more transaction details and new one-click max, half and min exchange buttons. • Hold the ⇧ Shift key and click the Reload button on the navigation toolbar. This very extensive /detailed Security Paper was donated to us by an anonymous source, Core Team members double checked facts and approved for posting and public discussion. 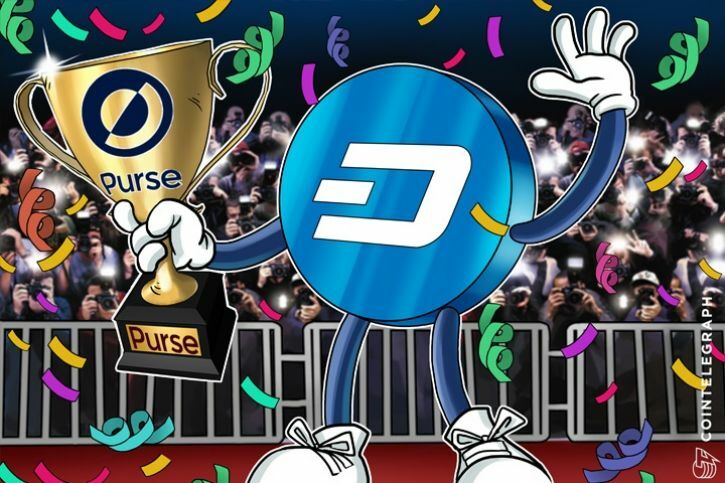 Purse.io’s number one most-used cryptocurrency, besides Bitcoin, is Dash for the second month in a row. But despite the progress made by some Altcoins in real-world adoption and usability, Bitcoin has strengthened its position as number one in the rankings. An online shopping site popular in the cryptocurrency community, Purse acts as an escrow service to allow customers to trade Bitcoin for purchases made with Amazon gift cards. This effectively allows anyone to shop on Amazon.com with Bitcoin, sometimes at significant discounts. Purse has partnered with streamlined cryptocurrency exchange ShapeShift to allow other coins to be accepted as payment. While Bitcoin remains comfortably at the head of the crypto pack and Ethereum looking to continue holding its piece of the crypto pie by looking into alternative ventures other than digital currencies, other coins continue to diligently improve the concept of digital cash for the common man. 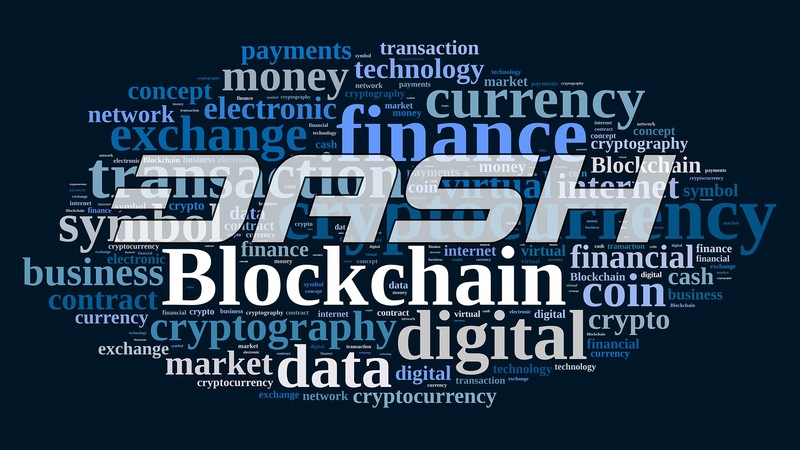 Dash rebranded its name from Darkcoin to a monosyllabic combination of “digital” and “cash,” in order to maintain a focus on expanding its use as an everyday medium of exchange, pushing an ambitious strategy to get as many new merchants to accept it before Christmas. Its development team remains hard at work developing the Evolution update, which among other features will remove long cryptographic addresses in favor of user accounts and allow for user-to-user messaging, slated for release in late 2017. Gulden, another cryptocurrency focused on usability as an everyday digital medium of exchange, is on a similar path to take Bitcoin’s basic technology and present it to the world in a much less intimidating fashion. The Netherlands-based coin recently released an update allowing for seamless conversions to Bitcoin addresses and bank accounts, buying Gulden directly from wallets and a link between desktop and mobile wallets without employing a third-party service. In 2017, the Gulden developers intend to do away with traditional alphanumeric addresses as well as build an instant, zero-confirmation feature. However, despite the progress made by other coins in real-world adoption and usability, Bitcoin not only remains the premier cryptocurrency but has actually strengthened its first place ranking over the past several months. Bitcoin’s share of the global market cap for cryptocurrencies grew to over 86 percent, up from 80 percent two months ago and its all-time low of 74 percent in March. This is mostly due to a price above $770, the highest since early 2014, and a market cap of nearly $12.4 bln, the highest since 2013. Meanwhile, the top seven cryptocurrencies excluding Bitcoin have all fallen in value over the past several months. Since late September, the combined market cap of Altcoins has fallen from $2.6 bln to under $2 bln.